Blog My Visit to Damanhur, Italy! My Visit to Damanhur, Italy! Falco was asked to re-incarnate 600 years in the past (our modern day), in order to help create a new timeline for Planet Earth. To stop ourselves from entering the future where we face our own extinction. We open up into the potential where HARMONY and beautiful co-existant living, can truly be the values that guide our people and our planet. But more so, the deepest commitment and dedication that I’ve ever seen a group of people come together to create. Going INSIDE ourselves. To clear away the densities, the programs, and the beliefs that no longer serve us. The very things that keep us in separation, from eachother and the True Self. 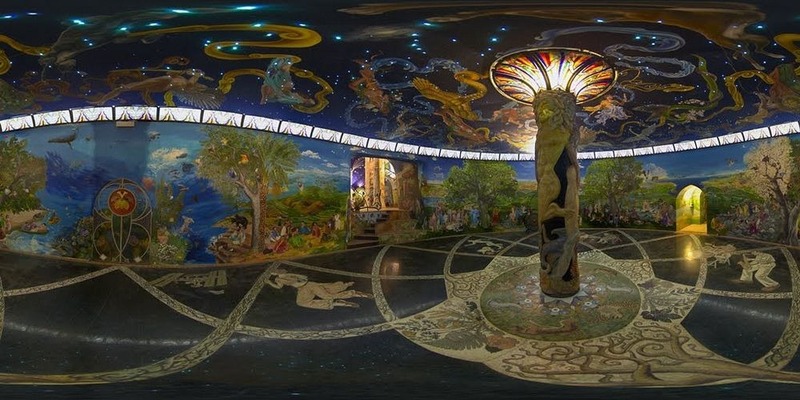 The people of Damanhur, Italy have created this Temple to uplift our Collective Humanity. It is said to be like a homing beacon, to call forth advanced souls from around the Cosmos, to come to planet Earth, to assist in our Awakening. Is something that inspires me so deeply, and shows me what is truly needed on our planet! And play your beautiful, special, unique role, in the uplifting and awakening of our humanity! As Ghandi says, “Be the change you wish to see in the world”. If you want to change the world, it all starts inside. To let go of the pains, the wounds, and the traumas that we carry from a world that has hurt us as children. It’s time to start asking better questions, that can help you look at life in a different way. For all that we have in life, is dependent on the questions that we ask. If you could change ANYTHING in your life… what would you change? This is all about being able to CREATE something for YOU. Little by little, we gather. We come together, to pave the path, and bring forth Heaven on Earth once again. A world where Harmony, Peace, and Co-creative living, where we support each other through our own unique gifts and passions…! This is what we are here to create! To live in harmony, and create a better world, together! And this isn’t something that happens fast. I used to love doing things fast. What are you doing, in your life, on a daily scale, to truly improve how you live? And see what comes up. That can truly help you improve how you live, and how you FEEL, on a daily basis? May all being be Peaceful. May all beings… everywhere… be Free.